SUPERDRY, T-shirt, Men, Round neck, Classic logo, 60% Cotton, 40% Polyester. SUPERDRY, T-shirt, Men, Round neck, Classic logo behind and at the back, 100% Coton. HARCOUR, Round neck sweatshirt in warm and comfortable material, Polar interior scraped, HARCOR patch logo on the front, Lower body and sleeves in RIB cotton. HARCOUR, Fine knit cotton sweater, Light and comfortable, Model with silver thread on the collar, Embroidered front logo in silver Col V.
SUPERDRY, Shirt, Men, buttons closure, Logo patch, Cotton 100%. Gilet fin sans manches avec col montant, idéal à la mi-saison. Matelassage polyfil 160 g/m2. Patch blason sur la poitrine. Fermeture à glissière tricolore double sens. Deux poches avant zippées et deux poches intérieures. Lavable en machine à 30°C. SUPERDRY, Sweat, Man, Classic logo, Cotton 60%, Nylon 30%, Wool 10%. SUPERDRY, Woman, ziphood, without logo, Coton 69% Polyester 31%, Machine wash 30 degrees. SUPERDRY, Sweat, Women, Metal logo , Wool 45%, Viscose 30%, Polyamide 15%, Cashmere 15%. This items size one size more as a normal size. SUPERDRY, Woman, ziphood, Coton 69% Polyester 31%, Machine wash 30 degrees. SUPERDRY, Sweat, Man, Classic logo, Cotton 53%, Acrylic 44%, Wool 3%. SUPERDRY, Ziphood, Women, Classic logo , Acrylic 94%, Polyester 6%. 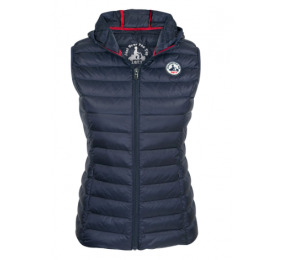 SUPERDRY, Ziphood, Women, Classic logo , Cotton 48%, Polyester 37%, Metalised fibres 8%. SUPERDRY, Men, Two pockets, Acrylic 90%, Wool 10%. Couverture en matière respirante en mesh. S'attache grâce à deux boucles métals et en sangle ventrale. Cordelette de queue et renfort polaire au niveau du garrot. Galon argenté. Polaire au niveau du garrot pour améliorer le confort de votre cheval. Sleeveless polyester jacket.Fleece interior to maintain optimal warmth.Synthetic removable fur.Double slider.Two zipped pockets on the sides and inside pocket.Removable hood.Logo chest. Polyester down jacket.Cotton elastic material on the sides for optimal movement.Bottom of body and handles in edge elastic side.Patch logo in studs on the hood and chest. 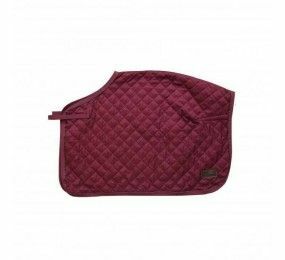 A fitting that respects the anatomy of your horse and ensures a perfect fit, The famous Kentucky synthetic swelling sheep that protects the withers, neck and chest, High resistance to friction thanks to a 3-layer diamond quilted pattern, High heat / weight ratio to maximize comfort and prevent excessive sweating. JOTT just over the top, Cut slightly adjusted closing zip, two zipped side pockets, two inside pockets, Logo "Jott Just Over The Top" sewn on the sleeve, Material: 100% polyamide; Padding: 90% goose down; 10% feathers,Note: professional wash recommended. 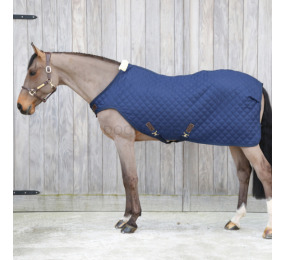 The Quarter Rug has a filling of 160gr and is the ideal rug for riding or warming up and cooling down when it’s cold outside. The artificial rabbit skin lining offers extra warmth because it creates tiny air pockets that retain the body heat. 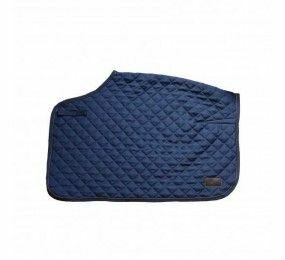 Men's jacket in breathable and warm bi material.The fabric is quilted on the body and the sleeves are made with elastane fabrics.Elegant and close to the body this jacket combines comfort and aesthetics for the rider. HARCOUR, Polyester down jacket.Fleece interior to maintain optimal warmth.Synthetic removable fur with two color options (beige or black).Double slider.Two zipped pockets on the sides and inside pocket.Removable hood.Logo chest. Nouveauté cette saison, les chaussures de sport JOTT ! Très confortable, et au top du style, elles sont disponibles chez Foolfashion en divers couleurs et tailles. 100% impermeable (8000) and breathable (3000) polyester down jacket.All seams are sealed.Fleece interior to converse optimal heat.Two pockets on the front.Synthetic removable furRemovable hood.Double slider.Logo chest. Long jacket in 100% impermeable (8000) and breathable (3000) polyester.All seams are sealed.Fleece interior to converse optimal heat.Opening in the lower back with a zip.Two pockets on the front.Synthetic removable furRemovable hood.Double slider.Logo chest. JOTT just over the top, Gilet, Tom, Cut slightly adjusted closing zip, two zipped side pockets, two inside pockets, Logo "Jott Just Over The Top" sewn on the sleeve, Material: 100% polyamide; Padding: 90% goose down; 10% feathers,Note: professional wash recommended. JOTT just over the top,Cut slightly adjusted closing zip, two zipped side pockets, two inside pockets, Logo "Jott Just Over The Top" sewn on the sleeve, Material: 100% polyamide; Padding: 90% goose down; 10% feathers,Note: professional wash recommended. JOTT just over the top, Gilet, Coupe légèrement ajustée, Fermeture zip, Deux poches latérales zippées, Deux poche intérieures, Logo "Jott Just Over The Top" cousu sur la manche, Composition : 100% polyamide ; Rembourage : 90% duvet d'oie ; 10% plumes, A noter : Lavage professionnel recommandé. JOTT just over the top, Gilet, Tom, Coupe légèrement ajustée, Fermeture zip, Deux poches latérales zippées, Deux poche intérieures, Logo "Jott Just Over The Top" cousu sur la manche, Composition : 100% polyamide ; Rembourage : 90% duvet d'oie ; 10% plumes, A noter : Lavage professionnel recommandé. JOTT, The Empire Gand Froid down jacket has heavy elastic rib waistband and cuffs. With its removable hood and its down filling twice as importing as for a classic down jacket, you will be ready to face the wintry temperatures. The KANT jacket is making its big comeback this season. Thanks to the retro-reflective fabric strips, you will remain visible and safe at night. Always padded feather and down for comfort, it is available in a new seasonal color. The equestrian X-BALANCE breeches by Horse Pilot is back with new colors! 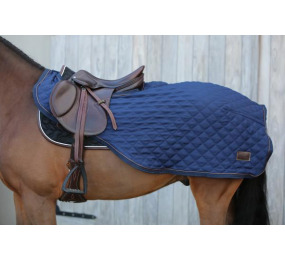 Specially designed to offer riders the optimum comfort and a proper maintain of legs and body. JOTT, The TORONTO men's jacket, new in our famous reversible range, will adapt to all weather conditions. It features a smooth side made waterproof by its seams thermo-welded, and a side down jacket always padded feather and down. You can take it everywhere with its storage pouch. Bi-material down jacket with an adjustable hood. The jersey material will give you more comfort. Here is the model CANDY woman. Bi-material down jacket with an adjustable hood. The jersey material will give you more comfort. Here is the GUMMI man model. JOTT, Down jacket with removable hood that provides a better protection thanks to its double layer of nylon, and its double amount of down and feathers. JOTT, The stretch properties of the Lenny model make the jacket even more comfortable and always warm and light thanks to its padding 90% down, 10% feather. Jott offers you a range with clean lines, adjusted cuts, for an elegant silhouette even in times of extreme cold. Thanks to their thick padding, they will give you the impression of being in a cocoon. Fake fur. Down jacket with removable hood that provides a better protection thanks to its double layer of nylon, and its double amount of down and feathers. The digital print group is now a staple of the LAB line, the research laboratory of JOTT. This season find in this line the MARYLIN women's down jacket with 4 pockets, shirt collar, and always jean inserts.